Building our presence in the local tech community. This week we added another cat to the team. An exceptional front-end developer, whose background is in large scale, reliable web application infrastructure in an agile/adaptive environment. With the upcoming release of our core platform, he’ll be primarily focused on coding our visual interface and connecting the back-end infrastructure with the actual UI that users see and interact with. He officially starts on February 19th, so we’ll be sure to give him a proper introduction in the community once he’s settled in. The first year of operations are absolutely crucial to the success of a business, so to ensure our continued forward trajectory, we’ve been working closely with a local tech accelerator to provide us with the insight and resources needed to help us scale and avoid costly mistakes. 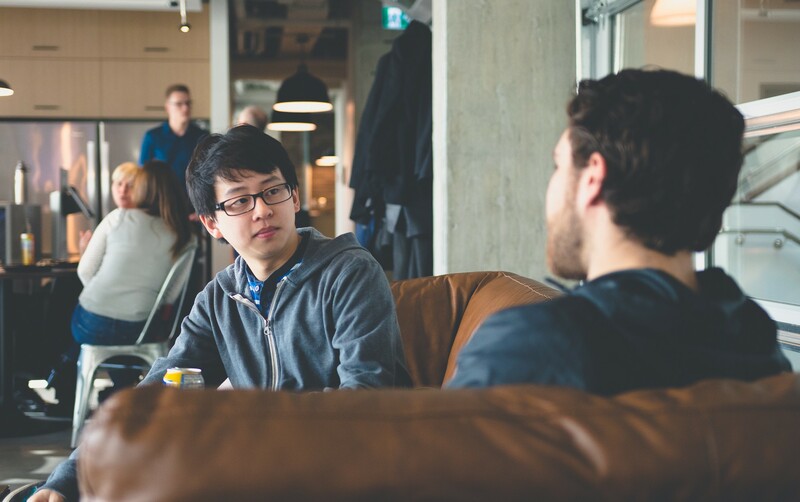 Accelerate Okanagan is a leading business accelerator for tech companies in the startup or growth phases. They provide access to resources, business connections and mentoring that would otherwise be inaccessible to brand new businesses. This week our team took a trip to the Accelerate Okanagan campus to meet with the team there to continue building on our relationship. While we may be one of the only blockchain companies in town, there are numerous successful startups and businesses that we can connect with and learn from, so connecting with others in the tech space remains incredibly important to us. + Completed the multi-contracts work. We're now at the point where users can create multiple instances of different contracts within our frontend. + Beginning steps toward backend integration, drafts and editability. More to come in future weeks. + Design work on a model of "reliable transactions" that deals with an industry-wide technical issue associated with Ethereum transactions. This month we’ve also designed, mocked up and spec’d out the code for a new Smart Contract. It’ll be the first of the Beta contracts that will have blockchain functionality enabled, and we’re excited to provide some more details on it soon. This week, Dave and Justin also spent some time educating students about the disruptive power of blockchain at the Okanagan School of Business. 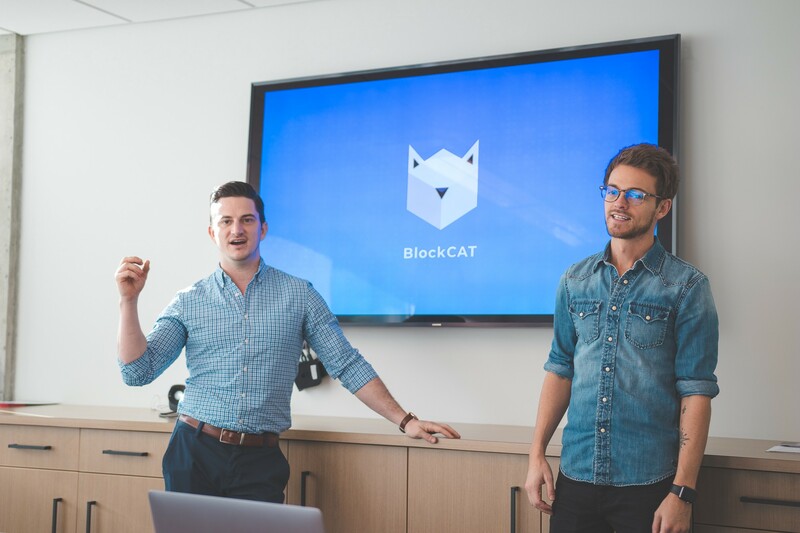 BlockCAT volunteered ourselves as a “clienteer” for the students; giving them the unique opportunity to work with a real business to build promotional marketing campaigns targeted towards our core demographic. 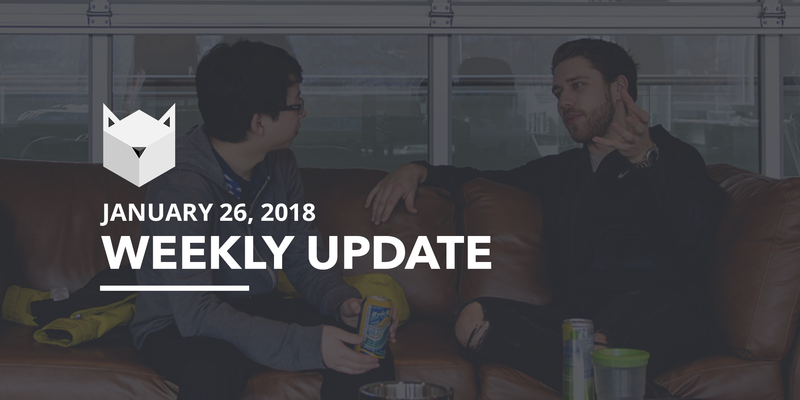 To make things interesting, we pitched our core platform which is scheduled for release at the end of Q1 2018. It was incredible to hear not only how interested the students were in our platform, but how receptive they were to the idea of blockchain disrupting major institutions and industries. We’re super excited to see what type of promotional campaigns the students come up with for our upcoming release! Note: For clarity, we are not relying on students to do our marketing. We already have marketing materials and campaigns lined up for our platform release; the students are just creating their own versions for their class project. That’s all for this week! Be sure to join the conversation in our Discord channel, follow us on Twitter or subscribe to the /r/BlockCAT subreddit.